Gotham City environmentalist Barbara Gordon, the Caped Crusader known as Batgirl and friend of CatCo's Benjamin Rubel, is in National City for a clean energy exposition at TycoTech. Supergirl is to investigate the same event for the D.E.O. because Tyco is using Kryptonian technology in their latest invention the Eidolon. It use the same Phantom Energy that powered the ship that brought Kara Zor-El to Earth. What that could mean to the Maid of Might and National City could prove to be dangerous for the entire universe. 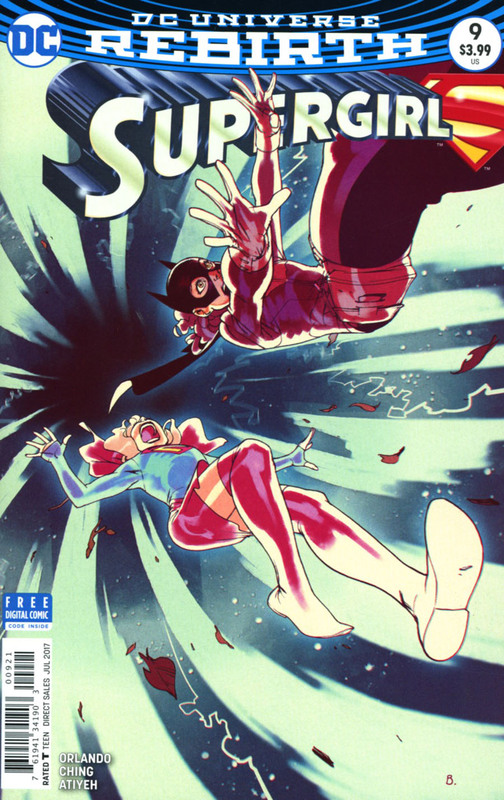 Supergirl battles Magog, who, like Emerald Empress from last month's issue, claims to be from the future. The villain's sphere strikes the Eidolon, activating it. 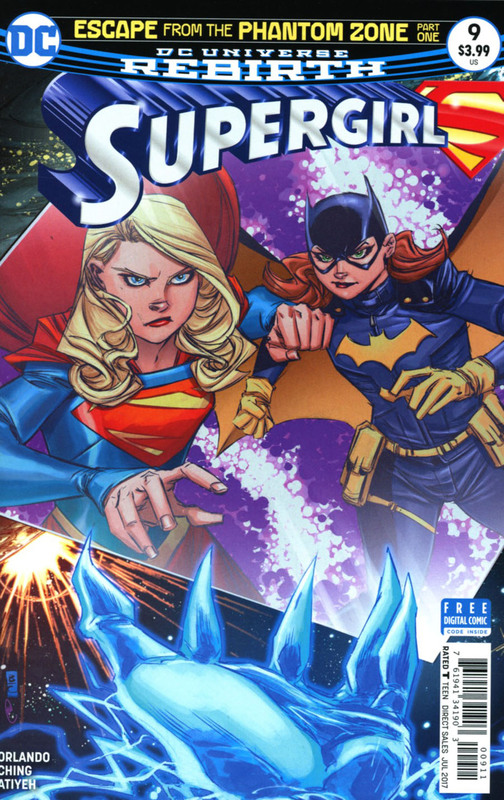 A powerful burst of energy sends Ben, Batgirl and Supergirl into the Phantom Zone where Krypton's most vile criminals are imprisoned. One such baddie is Xa-Du, whose followers are being used for his Ecto-Mail armor. In spite of this, he is very weak, and only Kara Zor-El's flesh can help him conquer the Phantom Zone and possibly the universe. Story - 5: The writing has improved greatly since the first story arc. It took this series a while to find its legs, but in the end, it's off and running with some good storytelling, especially in this and the last issue. While I don't want to get my hopes up too soon for next month's comic, Steve Orlando's first chapter in this serial is a good start to what could be an overall exciting reading experience. Art - 3: Sorry, but I sincerely can't get into Brian Ching's art style. I don't like it. However, I respect the fact that there are some who do. The pages that take place on Earth are a punch in the eye for me. However, the Phantom Zone scenes were surprisingly well done, hence the increase in rating from Ching's previous issues. Cover Art - 2: The cover is not as bad as previous ones have been. Still, it isn't as good as Ching's Phantom Zone images inside the book.